I tend to resist things that are extremely popular. I've never read or watched any of the Harry Potter, Hunger Games, or Twilight books/movies. I just bought my first pair of skinny jeans a few weeks ago, after years of mockery. And I don't get the whole kale thing. But I've finally tried green smoothies and immediately added them to my daily menu. If you recall, two of the items I wanted to focus on for 2014 involved eating more fruits and vegetables. I didn't wait for January 1st to put this one into action. 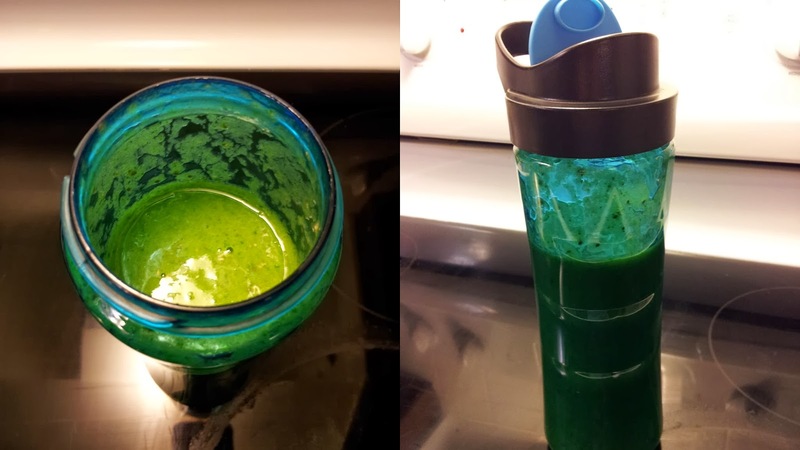 The day after Christmas I purchased a single serve drink blender and blended up my first smoothie based on Nicole's Ultimate Green Smoothie Formula. I don't add any sweeteners, as the fruit is plenty sweet on its own. Nor do I serve it over ice. I don't like ice, plus it is winter! With experimenting I've found I don't care for including cinnamon or raspberries (seeds, ugh). The frozen peaches have almost no flavor, so I won't bother with them again. Last week I was running low on spinach so I decided to try another smoothie variety with milk, a banana, peanut butter, and vanilla extract. I won't make that mistake again. For me, green is the only way to go. I make one for breakfast every day. It keeps me full for just as long as anything else I've ever eaten for breakfast. This week I'll be trying strawberries and maybe next week I'll try including avocado. OK, the big question is...what does it taste like? This sounds like something I should try, but spinach is not one of my favorite things in the world. Although, most of the reason for that is the texture. I might have a different opinion of it in a smoothie. Do you cook the spinach, or is it raw? Good question! The spinach is raw. As for the taste, that's a trickier thing to describe. To me it tastes fresh and light and fruity. I don't specifically taste the spinach. That said, I do like spinach (both cooked and raw). I used to make a green drink way back in the olden days when I lived in Cato. My husband called it "Ditch Drink" because I harvested wild greens including mints that grew in the ditch in front of the house. I like mints. I used pineapple juice as a base (or apple juice). 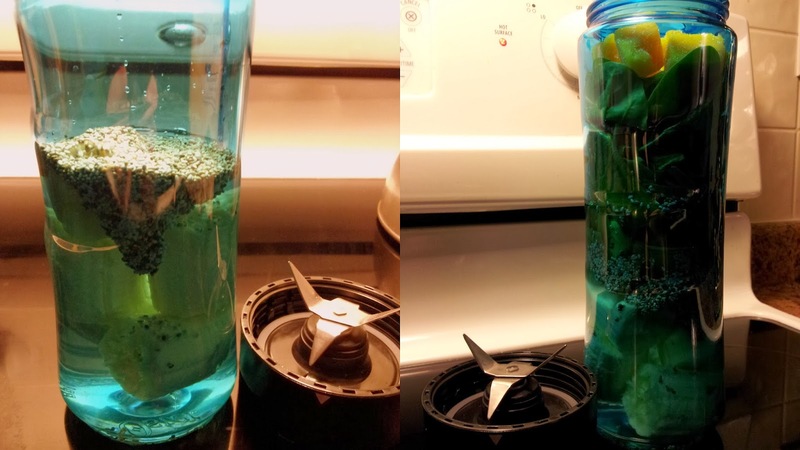 In the summer I used it frozen and in the winter, I used it thawed. I put in lambs quarters and a bunch of other weeds. YUM! I loved it. I love green drink and still make it sometimes. 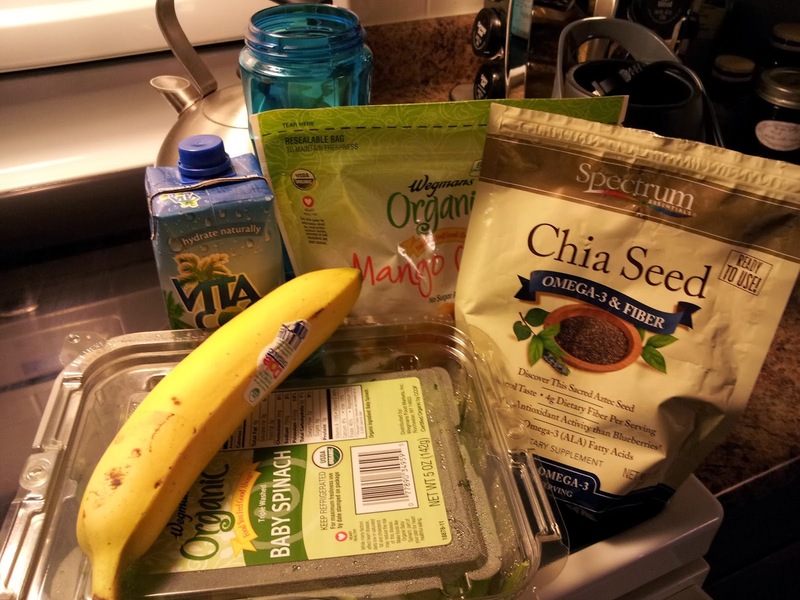 I love spinach and mango but have never tried it with Chia seeds. I've been doing this for 40 years. Read about it in Mother Earth News. You don't do kale?! It is so stinkin' good! I grow it on my back porch so that I can have an endless supply. My favorite recipe is to saute it and toss it in some brown rice with a big handful of unsweetened shredded coconut and tamari. On to the green smoothies, yay! I have one almost everyday and funny, prefer kale over spinach in my shakes. My favorite is frozen pineapple, 1 banana, a big handful of raw kale and coconut milk... tastes like a pina colada! Top it with some chia seeds and you've got yourself some more nutrition. Oh my, I love pina coladas! I will definitely have to try that one. I will even try the kale sometime, lol! Maybe this coming summer I'll try throwing in some mint and other "weeds," but I'm not sure I can find any that would be dog pee free since the neighbors let their dogs use our yard as a toilet. Ick. All this talk has me craving a green smoothie right now! I love that the sweet fruit disguises the spinach flavor so well! Not that I have a problem with spinach flavor haha - I do love spinach. But for those who are nervous about how the spinach tastes with fruit... mostly you can't even taste it!